A guest post by IP on the first year of becoming a twin daddy. Life before twins was relatively simple. I looked after my immediate needs and when I look back I realise I was largely a selfish person. Why my wife and I even planned date nights before having twin girls is a mystery to me. Why do couples without kids need to diarise time to spend with their spouse anyway?! Weekends spent with my wife were blissful and fun times. We had a blank canvas of opportunity…opportunity to do whatever we wanted when we wanted. There were no long-term consequences to our decisions. Saturday mornings were spent lying in bed until whatever time we pleased, and this was largely dependent on what we did the night before. Saturday afternoons were spent walking around markets, going for a hike, and running in the forest. Then, our twins arrived. We were blissfully unaware of what lay ahead. They were born at 32 weeks, and spent three and a half weeks in the NICU. I remember the last night of NICU vividly. We were given a room in the hospital with two beds and two cots and for the first time there were NO nurses to assist us. I was petrified! The side wheels had been removed, and I was leaning very much to one side. That first night consisted of feeds every three hours with a helpless little baby on each parent’s lap. Broken sleep totaling three hours at the most forced me to reassess who I was. I cried. I felt weak and helpless. How was I going to be a parent to twin girls with this amount of sleep, I lamented?! I don’t remember going to work the next morning. All I knew was that I was scared, very scared of what lay ahead. The days and weeks that followed blurred into a haze of routine. Those three-hour feeding cycles were brutal. I assigned myself to bed and bath time routine, and the early 4am shift before showering and going to work. When I look back now I don’t know how we did it, and how we coped, but we did, by God’s grace. The human body, however, is adaptable if you beat it hard enough. In the same year I was finishing off a business degree, and I had started a new job which involved a lot of travel. The only way I thought to get through it all was to put each task into a box. Fulfilling each task eventually became a habit and coping mechanism, and I subtly sought pleasure in completing all my tasks. I had many interests before the twins arrived. Hiking, fishing, camping, making beer, and flying model helicopters took up most of my time. Now my life consisted of milk, vomit, changing nappies and sleepless nights. I yearned to have the option of at least deciding for myself what I wanted to do and when I wanted to do it! It was tough. I loved these helpless little beings so much, but nothing had prepared me for this. Nothing had stripped me so bare. I realised I existed only for them; none of my needs mattered anymore. Then there was my wife, the apple of my eye. I was devoted to her before the kids came. Chaos had erupted in our house and I had battened down the hatches and went into survival mode. All the focus was on the children. We were at their beck and call for every whim and need. They not so subtly reminded us of that during mammoth crying sessions in tandem. Nights were long, and it became easy to think evil thoughts and to act a little strangely at times. Sleep deprivation does that to you. Weekends were now very different. My wife was facing her own struggles. Being a mother of twins requires an inner strength and tenacity that no one will understand. My hectic work schedule was also not helping matters. A busy travel schedule coupled with finishing off a business degree and trying to be a parent had me thinking I was contributing towards society, providing for my family, and taking care of the kids needs. In all these “unselfish” acts I had become selfish, driven to complete all the tasks that had taken over my life, yet forgetting the most important person in my life, my wife. I had realised that I was attempting to take care of everyone else’s needs yet failing her as her husband. This is still a very difficult thing to accept with my driven A type personality that likes to get things done and likes to solve the problems of the world and move on. Woman are not created like that. I felt helpless. I was achieving my goals in all aspects of my life and gaining recognition in my work, yet failing my wife. How could this be? Weekend chores did not get the response from her that I was expecting. I thought all women are pleased when their husbands do housework! Here I was feeding the kids, spending time with them, cleaning the house and trying to add value to the household, yet my wife was lonely. I had not spent time with her. I had not engaged with her like I did before the children had arrived. She was not the centre anymore. 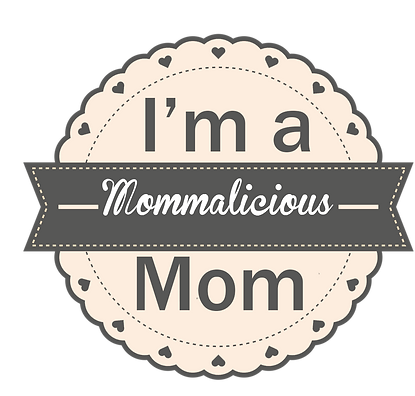 I was distracted with all the chores that had to be completed with having twins that constantly demanded a routine of crying, feeding, pooping, and sleep. I think most men can relate to the above. We work hard for our families, we do the best we can with what we know, but sometimes it is not good enough. We struggle to focus on many things. I know I certainly did. Our families want us, they want our full attention, they want us to notice them, and they want our time. We as men often fail at this. We are responsible for not just our family’s financial needs, but their physical, emotional and spiritual needs as well. It became too easy for me to fulfill the financial need through my hard work, and long hours away from home, but I had failed to see that they needed me more in the other aspects of their life. As men, we are to put God first, love our spouses second, and then love our children. I had got it wrong, and it showed. We do our families a disservice when we get the above formula wrong. For one, loving our children over loving our wives is a disaster waiting to happen. Our wives came first, and loving them first will allow our children to grow up in a loving and secure home where everyone benefits. I know I have a lot to learn, and I still fail, but I am aware that the only way my needs will ever be met is if I unselfishly lay my life down for them. There are moments when I realise I have gotten this simple aspect right, and it is in these moments that I realise that I am the most blessed man alive and wouldn’t want it any other way. Today I feel completely defeated, deflated, exhausted, finished, and kaput! Being a parent is hard work, and being a parent of twins is harder still. Trying to parent while working, buying a new house, planning a move to a new town, and maintaining a marriage is even harder. But I guess this is all just part of life and being a grown up, and I know I should just stop complaining about these things, because actually, they’re all my biggest blessings – my children, my husband, and our new adventure in a new town to look forward to. But I’m tired, and sometimes it’s all just a bit much to deal with. Sometimes I just don’t want to be a grown up for a little while. Right now I feel like I’m trapped in this crazy, sleepless, frustrating world of toddler-dom. Having two two-year olds who fight me every night at bed time, and who just want me all the time at the same time throughout the night is exhausting. And I’ve started screaming back. I’ve become this horrible dragon mom who I really don’t like very much right now. And what’s worse, I’ve become this horrible dragon wife who I like even less. It’s all just too much at the moment and I feel like I’m at a breaking point. I do believe it might be time to call in the reinforcements. It might be time to get in a sleep trainer. We have to do something, because something needs to change. We can’t keep running on this never-ending treadmill of craziness. I’m sure one day we will look back and laugh at it all, but not today, today I just want to cry. Here’s hoping things get better soon…cos this mommy is sooooooo tired. Two toddlers, one mommy – how do I split myself in half? It’s been a tough few weeks in our house as both our girls are going through a rather clingy phase where they both just want mommy, and they both just want mommy all the time, at the same time. I’m sure many other twin moms will understand how this goes – it’s something we’ve had to deal with right from the beginning – having two little babies at the same time and trying to balance our time and attention for both of them. I think this is one of the most challenging aspects of being a parent of multiples, and I’ve especially felt it over the last few weeks with my two toddlers. It all started when we were on holiday in Australia last month, and I think they were feeling rather insecure being in a strange environment with lots of strange people, and naturally they clung to their mommy. But ever since we’ve been back it seems to have gotten worse and they’ve become more demanding in their quest for my attention. The girls moved from their cots into single beds a couple of weeks ago, and I think this has also been a major contributing factor at the moment. It’s been very trying for both IP and I, as it’s exhausting for me to be in such demand all the time and it’s difficult for him not to be able to help in any meaningful way because they don’t want him, especially in the middle of the night. They’ll happily spend time with daddy and play with him during the day, but when it comes to bed time and waking in the night, they just want mommy. This has been when all hell breaks loose because they’ve been waking each other up in the night, and then they both want me to lie on their bed with them. So I am constantly going from one bed to the next to try comfort them, and they will both scream if I am sitting on the other’s bed, and if I pick one up and sit with her on the other’s bed then they both get even more upset and scream at each other. It’s heart-breaking not being able to adequately see to both my children’s needs at the same time when they seem to be feeling so insecure and just really want their mommy. The situation is exacerbated by my absolute exhaustion and dwindling patience, and there have been a few times when I’ve felt like I was going to lose the plot completely. It’s emotionally and physically exhausting, and we really are hoping things will settle again soon. Have any other multiple moms experienced this? Would love to hear some insights! Today our twins are TWO!!! Today marks a very special day for us as we celebrate the second birthday of AG and HJ! Wow, I can’t believe how time has flown and we have officially survived the first two years with twins. It’s been tough, it’s been scary, it’s been fun, it’s been frustrating, it’s been crazy, it’s been wonderful, it’s been an adventure! There have been many tears, but also many laughs, and even though the last two years have been the most challenging that IP and I have faced together, I think we’ve come out stronger than ever. I reckon if a marriage can survive the first two years of twins, it can survive a life time! Looking back over the last two years, I have much to reflect on and there are so many memories flooding back; from our first month in the NICU with our 32-weekers, to the first steps, the first words, the first time my little girls put their arms around me, to just recently when they started saying “wuff you mommy”. Well, I love you too my girls! You have turned our world inside out and upside down, but we wouldn’t have it any other way. HAPPY BIRTHDAY HJ AND AG! MOMMY AND DADDY LOVE YOU VERY, VERY MUCH!!! There are times in your parenting journey when you just have to laugh at things, laugh out loud from the belly, because if you don’t, you may just cry or end up going totally insane. I’ve had a few of these moments over the last week, and even thinking back now as I write this I’m having a little chuckle. It’s been a tough few days in our house with the girls both teething, and now they both have a cold. The nights have been particularly trying when we often have two screaming toddlers who take ages to settle back down again. So needless to say, there has been very little sleep for anyone in this household over the past week. The lack of sleep obviously adds to the general grumpy atmosphere and of course the smallest thing can turn into a big drama. Added to this we’ve had a sick dog, first with a bladder infection, so she was peeing in the house, and now she’s been puking in the house…oh the joys!! The defining moment of our crazy week happened on Sunday, when Chelsea, our pet Labrador, puked on one of my favourite sandals…while my foot was still in it! I screeched so loud that the neighbours must have thought I was being murdered. Both girls got such a fright that they also started screaming hysterically. IP came running downstairs to see what was going on and took one look at the scene and burst out laughing, and in my hysterical state I actually burst out laughing too. It was one of those crazy moments, which almost took place in slow action replay, and thinking back now I can only laugh out loud. Parenting is this crazy, happy, maddening journey, and the bumps along the way shouldn’t be what defines our experiences, but should sometimes rather be moments that we can look back on and have a chuckle about, rather than shed a tear. I’ve been trying to look on the bright side as much as possible lately. It’s not always easy, but for the sake of my kids I have to parent positively. I have to see the good, not always the bad. I know the next few days will be tough as IP is away on another business trip, and there have already been a few crazy moments as I tred along the single parent path for a few days. Yesterday, as I removed AG’s nappy, and before I could put a fresh one on, she peed all over my brand new duvet cover. And as she peed she proudly pronounced “wee wee”. I didn’t know whether to be upset that she had just messed on the bed or super proud that she actually told me that she was doing it. I guess it’s just another moment that I have to look back on and laugh about.